The Tampa Bay Buccaneers have traded DeSean Jackson to the Philadelphia Eagles. It's unclear what the Bucs will get in return but things appeared to be heading this way for a while now. Jackson wasn't happy in Tampa Bay and wanted to return to Philly. The 32-year-old speedster will be a nice complement to an Eagles offense that doesn't have a true deep threat. In 12 games last year Jackson totaled 771 yards and four scores. He'll be an exciting best-ball pick throughout off-season drafts. The Eagles and wide receiver DeSean Jackson are "destined for each other again," barring any unforeseen changes, according to reports. Jackson and the Buccaneers appear poised to part ways this offseason. 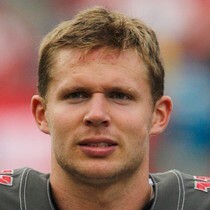 The question remains whether or not Tampa Bay will trade Jackson or if they will cut him loose. Either way, it seems as if he'll be heading back to Philadelphia, based on these rumors. In Tampa, Chris Godwin should be able to take a step forward in 2019 without DJax on the roster. 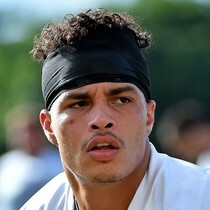 It remains to be seen what other focus the Eagles give to the WR position, but Jackson could continue to be a boom/bust play at WR with his new team. Jenna Laine of ESPN reports the Buccaneers have been shopping wideout DeSean Jackson. Jackson had asked for his release earlier this off-season but he then reportedly had a "great meeting" with new coach Bruce Arians. Laine adds that the Eagles are the preferred destination for Jackson, though it's still unclear if he'll actually be traded or not. 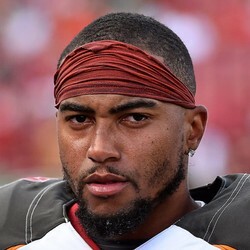 DeSean Jackson, Bruce Arians have a "great meeting"
Bucs coach Bruce Arians says he had a great meeting with wideout DeSean Jackson. Jackson reportedly wanted out of Tampa Bay by the end of 2018 but perhaps Arians could help him change his mind. Jackson would likely benefit from Arians' aggressive nature on offense. DeSean Jackson (Achilles) is inactive for Week 17 versus the Falcons. As expected. Jackson didn’t practice all week and was always considered doubtful to play. Mike Evans, Chris Godwin, and Adam Humphries will operate in three receiver sets. 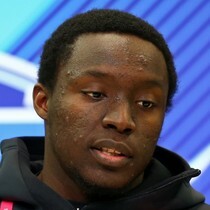 Jackson reportedly wants out of Tampa Bay after this year and has hinted at a reunion with the Eagles.